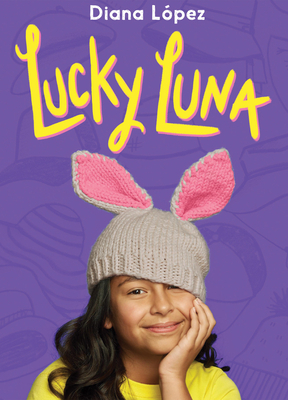 Luna Ramos has too many primas to count, but there's one cousin that's always getting her into trouble, Claudia. After locking her in the bathroom at their other cousin's quinceañera, Luna is grounded for a month. Her punishment? Not being allowed to wear her signature hats, which she uses to hide her birthmark, a streak of white in her otherwise dark hair. The only thing that gives Luna the tiniest bit of satisfaction is knowing that Claudia is also being teased because she has a big nose. Eventually, Luna discovers that Claudia was not being teased after all. Every joke Luna heard was actually directed at her! Luckily, Claudia comes to her rescue, standing up for Luna by telling the other kids to leave her alone. That's when Luna realizes the true meaning of her grandmother's wise advice -- "blood is thicker than water." She and Claudia may not like each other, but they are still primas. And it's the job of primas to stand up for each other. Diana López is the author of Confetti Girl and several other books for young readers. She also has several primas, who she gets along with most of the time. Currently, Diana teaches literature and creative writing at the University of Houston in Victoria, Texas. For more information about Diana and her books, visit her online at dianalopezbooks.com.